My starting point for Hell’s Gate was a desire to tell a story about an actual descent to the underworld, a person venturing into the kingdom of the dead to find someone. Could today’s readers still believe in such a thing, I wondered, and was their thirst for the epic and mysterious strong enough to allow them to be swept up in the story? The descent to the underworld was once a very common theme in literature and iconography and there are countless representations of the underworld in the arts. Numerous Greek heroes descend to visit lost souls, even to try to bring them back to life. Ulysses, Theseus and Orpheus all undertook such quests. But it’s a theme that has all but disappeared from contemporary literature. As I began to write the book, I found myself coming up against a number of problems I perhaps hadn’t foreseen. The first was steering clear of religious symbolism. I didn’t want the land of the dead to be divided into Purgatory, Heaven and Hell, for example. Instead, I was aiming to conjure up a place more like those described in the classics. Hills, rivers, forests, sounds and atmospheres – a whole world of sensations. The other difficulty was finding a setting in a part of the world that could accept the narrative. I don’t think it would have made sense for Hell’s Gate to take place in Paris or London, simply because those cities’ inhabitants, like my characters, would not have found the story credible themselves. Who in London or Paris would believe there was a gateway to the land of the dead on the edge of the périphérique or on the South Bank? In Naples, on the other hand, I’m convinced such a thing could be thought possible. Indeed, it once was: the volcanic region of La Solfatara a few miles outside Naples was long considered an entrance to the underworld. Certain cities have a special link with the dead and feel the presence of the departed more keenly. Naples, Palermo and Port-au-Prince are all parts of the world where my story could work. The people who live there have a closer, more physical relationship with their dead, and readily believe in the porosity of the two worlds. In the case of Naples, might it be down to the presence of Vesuvius? The instinctive knowledge buried in the memories of all Neapolitans that the earth could shake and consume everything again, just as it did in 1980? I don’t know, but it seems to me that my story is right for Naples. Apart from describing the land of shades, the purpose of the book is to try to say something about the link that exists between the worlds of the living and the dead. We in the West are incredibly cut-and-dried about this. We wish to believe the two worlds completely impermeable. But surely there’s another way of seeing things. Without getting mystical about it, there’s no denying that man has the gift of that strange, enigmatic, infinitely rich thing we call memory. Is memory not precisely a bridge between the world of the living and that of the dead? Aren’t those we have lost, whom we loved and still think about, deeply present within us? All these questions were what drove me to write this novel. Hell’s Gate aims to invite the reader into a contemporary epic, diving into the dark and turbid sides of our presence on this earth. 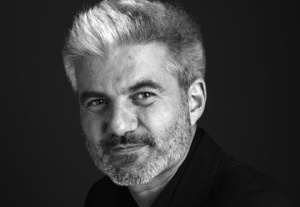 Laurent Gaudé, born in 1972, is one of France’s most highly respected playwrights and novelists. He has won many prizes including the Prix Goncourt in 2004 for The Scortas’ Sun, which has been published in 34 countries. 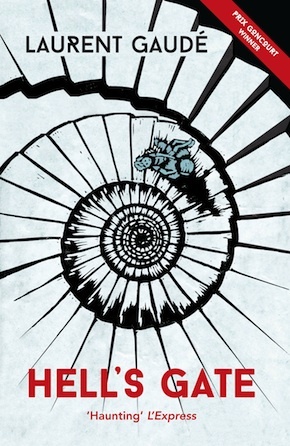 Hell’s Gate, translated by Jane Aitken and Emily Boyce, is published in paperback by Gallic Books, price £8.99. Read an extract from Hell’s Gate.